With EffortlessHR, You can affordably create a manual that would typically cost thousands of dollars and use up weeks of your time. 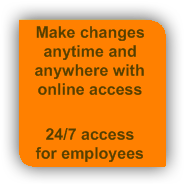 Create your professional & customized employee policy handbook - Instantly! 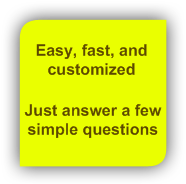 By using a handbook builder, you are guided through each step. There are certain policies that every company should have, which we call Mandatory. There are also policies that are specific to a company and need to be written to accommodate that company culture and need. A handbook can increase employee morale because when employment practices are in writing, employees feel the rules are being equally applied. Managers are less likely to arbitrary in their treatment of employees. Handbooks can save time because employees have the tools to look up questions related to policies, procedures, benefits, time off, etc. A handbook can define important employer rights, that left implied might not be enforceable. Using our policy manual software, you have flexibility when updating policies. Some employers are fearful that a handbook is the same as a contract. For example, policies that are too restrictive may tie the company to a policy that does not allow them to terminate an employee if needed. In-correct language may guarantee job security, for example use of the term "permanent employee". Why have Handbooks? Handbooks give direction. Companies often use the term "handbook" and "manual" interchangeably. In general, an employee handbook is a document containing the policies of the company. Policies are guidelines to be followed under a given set of circumstances, such as when to call in if you will be late. Policies are written to help managers guide their employee's direction and expectations. Policies assure employees that the company will treat them fairly and objectively. 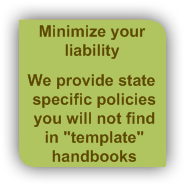 Handbooks need to comply with all applicable laws - Federal and State (and sometimes local). Keeping up with all the laws and regulations is a huge task but is one that cannot be overlooked. An out-of-date handbook is of no use and in fact may be a liability to your company. While it is easy to simply copy someone else's handbook, it may not be applicable to your company. In using our employee manual software, make sure the policies are appropriate and can be tailored to your company. Include the correct disclaimer, which must be clear and conspicuous. Do not bury the disclaimer at the end of the handbook in small, hard to read print. Design your handbook to be flexible for your company and your managers. Allow room for discretion to let your management team handle violations in an appropriate manner. Require employee acknowledgement forms be signed and returned. Domestic U.S. employee handbooks typically spell out rules, policies, practices and benefits, and they usually include a disclaimer announcing that the document does not create a binding contract of employment. Effortless Employee Handbook ©2019 EffortlessHR™ All Rights Reserved | Website Design By: Go Web Solutions - LOVE Your Website!